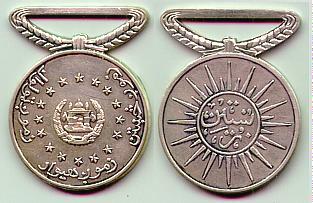 Borrowed traditions went to make up the corpus of Afghan medals. 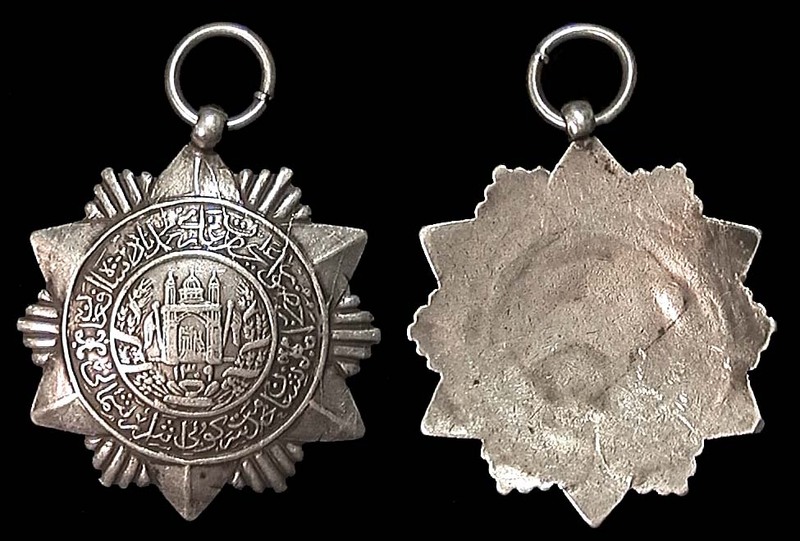 The idea of medals came from Europe in the 19th century and was built on primarily British and Russian models. 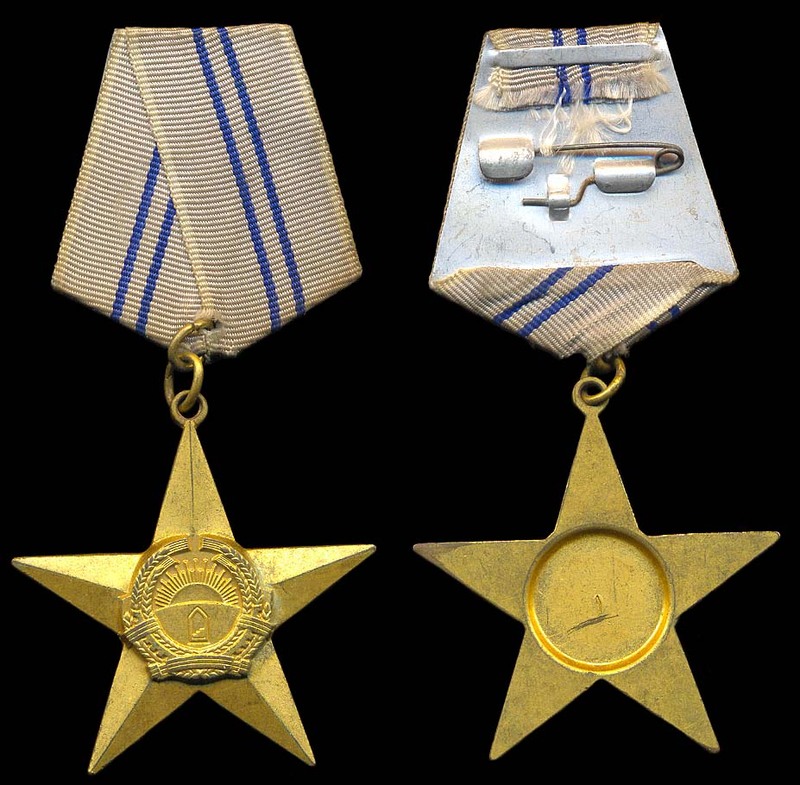 The early approach to falery tended toward crude, often handmade awards issued without ribbons to troops who always had non-standard uniforms to wear them on. Attempts at a standardized approach congealed in the 1950s, though the ribbons remained pretty much catch as catch can. 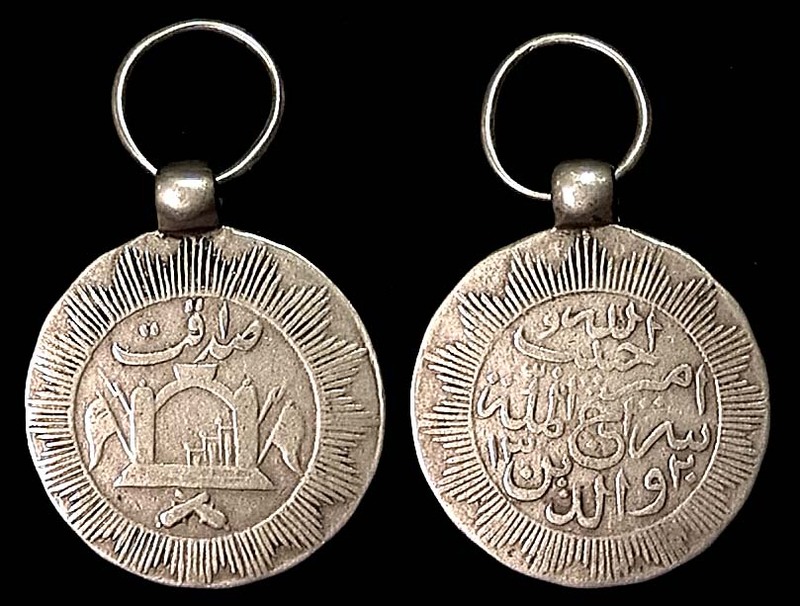 The Soviet occupation period produced Soviet style clone medals. Can't say much about what's going on there these days. Maybe they're getting their medals made in USA.